The Virtues Tour has over the years become a highlight in the calendar of British Islamic events. It’s led by Shaykh Ibrahim Osi-Efa, who is joined by Shaykh Yahya Rhodus, Shaykh Abdul Karim Yahya, Sidi Amir Sulaiman and Sidi Nader Khan. In 2015, the tour was focused on the ethics and moral practice of prophecy. Particular focus was placed on the spheres of intellect; anger and desire, in order to promote the manners in which the modern condition of man can be healed. In the above recording, Shaykh Yahya Rhodus of Al-Maqasid spoke in London, on living in an age of fitna (strife) but first, he dispelled some misunderstandings around the concept of bid’ah (innovations in religious matters) and using “the Prophet never did it” as a standard for deriving legal rulings. Consider taking an online course with SeekersHub. It’s free to anyone, anywhere in the world. There are over 30 titles to choose from, including Meccan Dawn: The Life of the Beloved Prophet Muhammad ﷺ (Part I), Medinan Nights: The Life of the Beloved Prophet Muhammad ﷺ (Part II) and Understanding the Prophetic Way: Imam Nawawi’s 40 Hadith Explained. 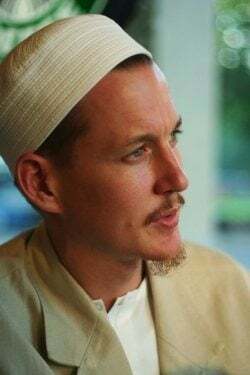 Shaykh Yahya Rhodus himself teaches Principles of Islamic Spirituality, The Marvels of the Heart and Essentials of Spirituality: Ghazali’s Beginning of Guidance Explained. 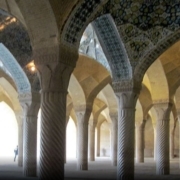 Are Weekly Group Dhikr Gatherings a Reprehensible Innovation? What Can I Do About My Poor Relationship With My Stepmother?